Walking along peaceful waterways and marvelling at the dusty pink Arabian summer houses standing prettily against swaying palms and brilliant blue sky, staying at this beautiful property feels like a dream. 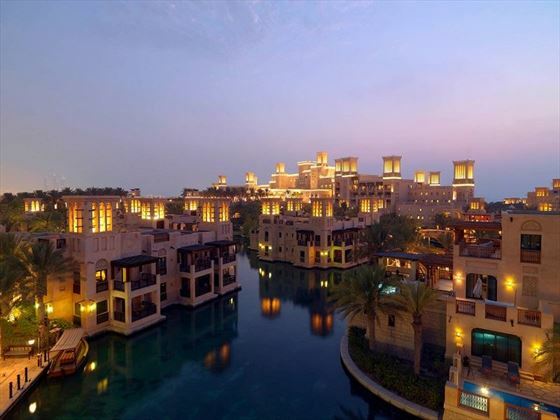 Part of Madinat Jumeirah resort, these summer houses simply ooze understated luxury. This gorgeous hideaway is one of our favourite boutiques in the Middle East, consisting of just 29 traditional summer houses, all housing up to 11 rooms or suites. We think these houses are utterly charming, and no matter whether you choose to stay in an Arabian summer house dotted around the waterways, or in a Gulf summer house nestled along the sandy beach, you’ll be blessed with sensational views. 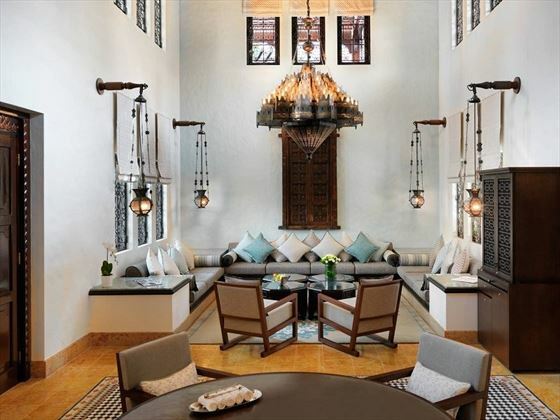 Each summer house has its own cosy and inviting majlis or living room, ideal for a refreshing sundowner before departing to Madinat Jumeirah’s wide variety of international eateries either by abra boats, foot, or golf buggy. With over 50 restaurants, bars and lounges, Madinat Jumeirah’s sumptuous selection will surely entice your taste buds. From hearty Deep South BBQs, to authentic and flavoursome South East dishes, there’s something for everyone here. 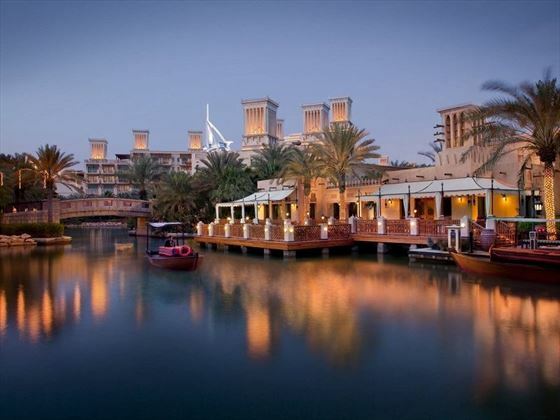 The Souk is Madinat Jumeirah is perfect for exploring too, with over 80 restaurants and shops. Those hoping to truly relax will love the secluded pools scattered between the summer houses, or you could wander along to Talise Spa, a peaceful oasis offering wonderful holistic treatments. Ideal not only for couples but for families too, guests also receive free entry to Wild Wadi Waterpark™, or Sinbad’s Kids Club has over 1,000sqm of pure fun and joy. 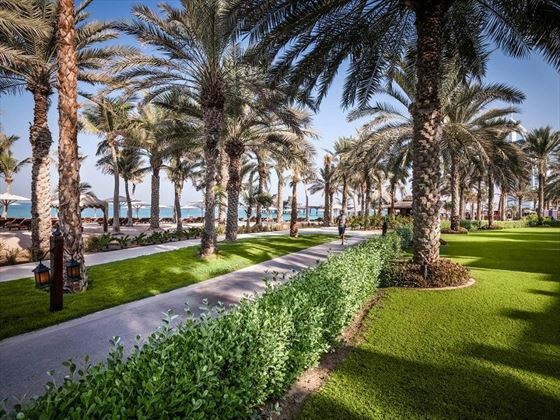 If that wasn’t enough, guests will also have access to the other three hotels’ facilities in the resort, Jumeirah Mina A'Salam, Jumeirah Al Qasr, and Jumeirah Al Naseem. 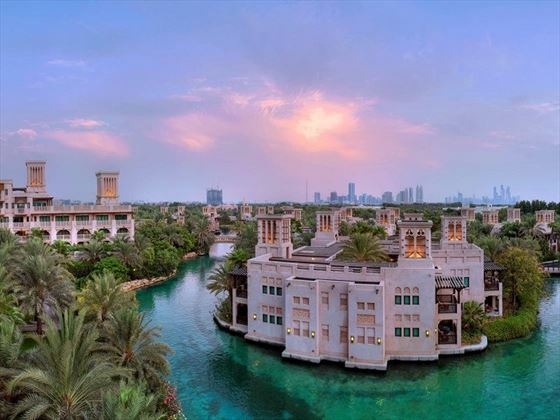 As part of the Madinat Jumeriah resort, this boutique property is set amongst lush manicured gardens, glistening waterways and a stretch of pristine beach, creating a serene ambience with the perfect level of seclusion. 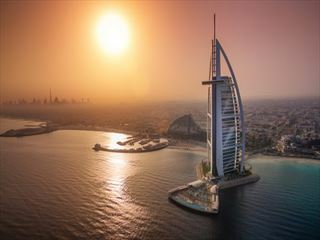 Located adjacently to the Burj Al Arab, there is an abundance of spectacular shopping centres, restaurants and bars just steps away from your hotel. Eight minutes away sits the magnificent Mall of the Emirates, filled with rows of shops and eateries, and the fun Ski Dubai. As guests of this resort, you will receive complimentary passes to the nearby Wild Wadi Waterpark, strongly recommended for a fun day out with aquatic rollercoasters, surfing machines, slides and tunnels. Downtown Dubai is just over 20 minutes away, filled with impressive malls, parks, famous landmarks, zoos and aquariums. Of course, with a pristine stretch of beach on your doorstep, a day or two full of relaxing on the warm sands with a cocktail in hand is a must. 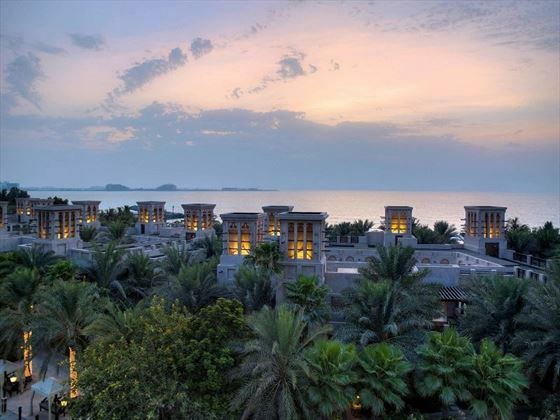 There are 283 luxury rooms and suites altogether, all spread out between 29 traditional Arabian summer houses. 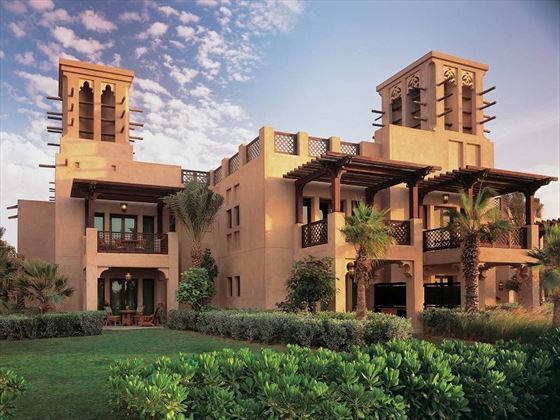 The Arabian summer houses are dotted around the resort, whilst the Gulf summer houses are found along the beach. 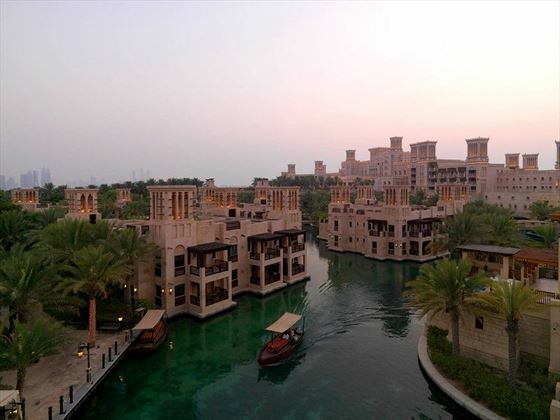 Arabian Summer House Deluxe – Serene 65sqm rooms overlooking the waterways and offering private beach access. Featuring private check in, a balcony and terrace, a majlis and a butler. Sleeps three adults, or two adults and two children. Gulf Summer House Arabian Deluxe – Nestled through a secluded garden courtyard, these 60sqm summer houses are only steps away from the beach, boasting a balcony, a terrace, private majlis and a butler. Sleeps three adults, or two adults and two children. Gulf Summer House Ocean Deluxe – Contemporary 60sqm summer houses with the same amenities as the Gulf Summer House Arabian Deluxe, this time with the added charm of striking ocean views. Sleeps three adults, or two adults and two children. Gulf Summer House Arabian Suite – Close to the beach, these gorgeous 120sqm suites have lush views of the gardens, the Arabian wind towers, and the fresh seawater ways. Featuring a lounge area, majlis and bedroom, plus a private pantry, personal butler service, and two terraces. You’ll also receive complimentary breakfast and airport transfers, plus access to the Club Executive Lounge and Premium Leisure Club. Sleeps three adults, or two adults and two children. Gulf Summer House Ocean Suite – Breath taking 120sqm summer houses, with lavish Arabic décor, uninterrupted ocean views from the two terraces, and a private pantry and butler service. Plus, complimentary airport transfer and breakfast, and Club Executive Lounge and Premium Leisure Club access. Sleeps three adults, or two adults and two children. Arabian Summer House Arabian Suite – Lavish 130sqm summer houses, with Middle Eastern décor, separate lounge and dining areas, shared pool terraces overlooking the gardens and waterway, and complimentary airport transfers, breakfasts, and access to Club Executive Lounge and Premium Leisure Club. Sleeps three adults, or two adults and two children. Royal Malakiya Villa – Magnificent 644sqm villas, boasting lounges perfect for relaxing and entertaining, a kitchen, a bar and a dining area. There are also terraces, a private plunge pool and a gazebo only steps away from the beach. 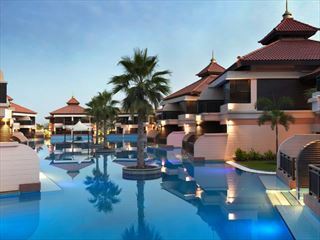 Guests also receive complimentary airport transfers, breakfast, and Club Executive Lounge and Premium Leisure Club access. Sleeps four adults and two children. Malakiya Two Bedroom Villa – Picturesque 275sqm villas, featuring authentic Arabic furnishings, two bedrooms with an en-suite Jacuzzi bathroom and balcony, a dining area, bar and kitchen, plus a private plunge pool and gazebo. Guests also have access to complimentary breakfast, airport transfers, the Club Executive Lounge and Premium Leisure Club. Sleeps four adults and two children. 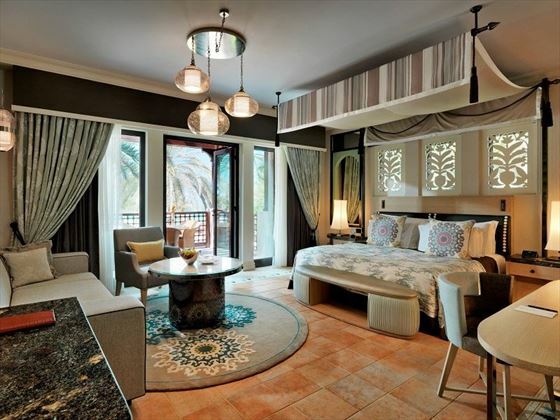 Malakiya Three Bedroom Villa – Incredibly opulent 338-531sqm villas, featuring three lavish bedrooms with their own en-suite Jacuzzi bathroom and balcony, plus a dining area, a bar, a kitchen, a wine cabinet, a gazebo and a plunge pool. Guests also receive complimentary breakfast, airport transfers, and access to the Club Executive Lounge and Premium Leisure Club. Sleeps six adults and two children. With over 40 restaurants, bars and lounges to choose from, you’ll be sure to go on a delicious culinary journey during your stay. 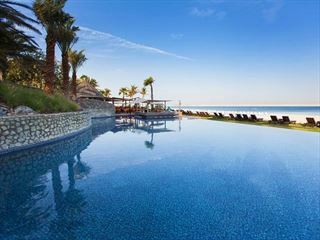 Here’s a taste of what you can enjoy at Madinat Jumeirah resort. Bahri Bar – Meaning ‘views of the sea’, the views of the waterways and Arabian Gulf at this trendy bar are incredible. The Palmery – A bright and airy restaurant with laidback buffets and family style meals served up on scenic terraces. Pai Thai – Taking you on a discovery of traditional Thai flavours. Perry & Blackwelder’s Original Smokehouse – A relaxed dining space located in Souk Madinat Jumeirah, offering a delicious taste of Deep South. The Noodle House – A chilled out and fun South East Asian restaurant with a wide variety of tasty Asian cuisine. There are a few private outdoor pools dotted in between the summer houses, or you could head to Talise Fitness’ two indoor pools. Talise Spa – Guests of Jumeirah Dar Al Masyaf have access to Madinat Jumeirah’s tranquil spa, offering plenty of holistic treatments aiming to rejuvenate the mind, body and soul. Facilities include an infra-red sauna, steam rooms, hidden cabanas, plunge pools, and a private outdoor pool.